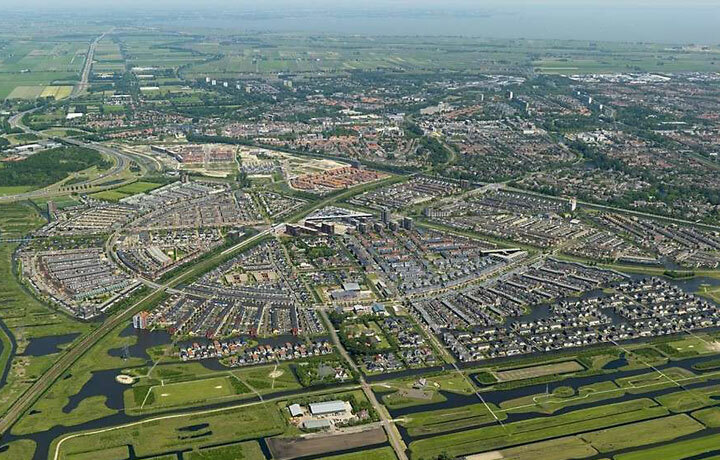 The City of Purmerend in The Netherlands recently concluded its ‘SlimNet’ program – a major renovation of its deteriorated district heating network. 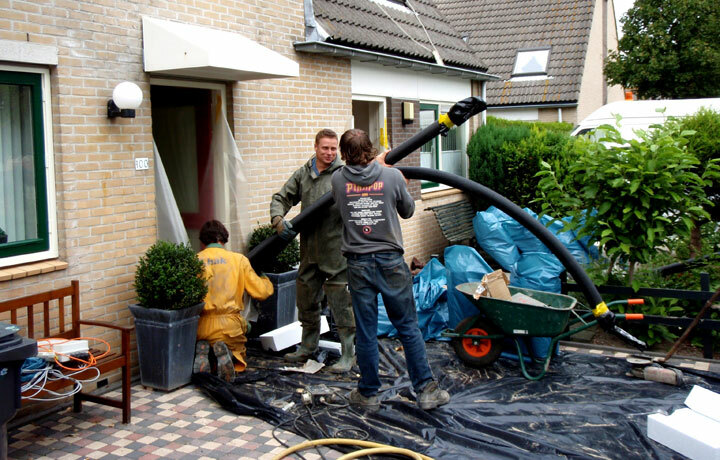 The multi-year project which was finalized in September 2015 was completed through a collaboration between Thermaflex and the local district heating company Stadsverwarming Purmerend (SVP). Purmerend is situated in an area with a high groundwater table. From time to time, water exposure exists in the crawl spaces underneath many of the residences. This moisture was absorbed by the insulation sheath of the piping system. As a result, the drenched insulation material significantly reduced the expected heating efficiency of the system. “But that wasn’t the biggest problem” said Martijn van Lier, Technical Manager at SVP, “the moisture had a disastrous effect on the steel pipes. Serious corrosion occurred much earlier than expected. More and more we started to experience breaks and leakages in the system. Every year we had to intervene more frequently to carry out emergency reparations. The originally expected lifetime was not eventuating." SVP’s research in 2007-2009 concluded that the network showed uncontrolled hydraulic characteristics and steep heat and water losses. On top of that, the reparations that were carried out proved unsustainable due to the general deteriorative conditions of the steel pipes. The declining heat system not only caused rising costs for SVP, but also caused ever-increasing damage and discomfort for its 25,000 consumers. There were districts where disruptions took place over 10 times in a short period. This was often the case during the cold winter months, when the heat supply for residences was especially needed. Van Lier: “Sure, residents are understanding with an incidental disruption. But across large parts of our system the situation was operating out of control. We had to take action, because without it the continuity of the district heating was at risk. In 2009 an emergency plan was drafted. A complete renovation of the heating network for 4,000 residences in the period of 2010-2015 was crucial." The project basis and work method was a completely different scenario from the original district heating network installation. This time, there wouldn’t be a new construction, but instead, a complete renovation of an existing setup. All the houses were inhabited, so the renovation process needed to occur in the shortest possible timeframe. In addition, the crawl spaces beneath the houses are extremely small (less than a meter tall with a very narrow entry). An installer is required to conduct his work while in a lying position under physically strenuous conditions. SVP was keen to ensure minimal connection work underground and inside the residences. SVP contacted Thermaflex, a global manufacturer of distribution systems for thermal energy, based in Holland. Together with Eneco, one of the largest energy suppliers in the Netherlands, Thermaflex was providing the renovation of the Schollevaar district in Capelle aan de IJssel. 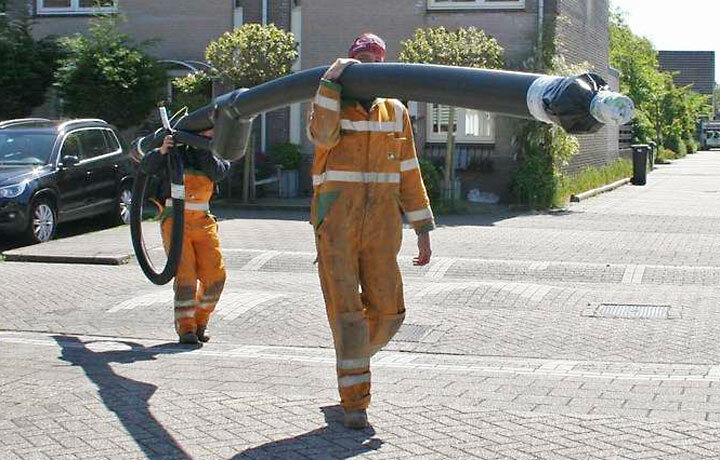 A Flexalen plastic pipe system made from Polybutylene-1 was being installed there for the heat distribution. SVP saw close parallels with the Eneco projects and that provided the impetus for project discussions with Thermaflex. A key aspect of the Flexalen piping system as understood by SVP is that it’s an all-in-one solution, including the readily insulated Polybutylene-1 (PB-1) pipe with Polyethylene foam (PE). Important properties of the Flexalen system are the flexibility of the pre-insulated pipe and the fact that neither PB-1 nor the PE insulation absorbs moisture. As a result, this system largely fulfilled SVP’s needs, yet there were a few more questions still left unanswered. How would the work be conducted in the tight and poorly accessible spaces under the residences? Also, there was a real need to reduce the number of connections needed to an absolute minimum. Would it be possible to make the connections in advance, so that on-site operations would quicker and more efficient? The Research & Development department at Thermaflex developed the solution: a new prefabricated T-connection for the branches of the piping system. The innovative concept was patented in 2009 under the name ‘Flexalink’. This type of connection is custom-fit in the factory, sealed and 100% tested. The labor-intensive on-site tasks of making and testing on-site connections now belonged to the past. 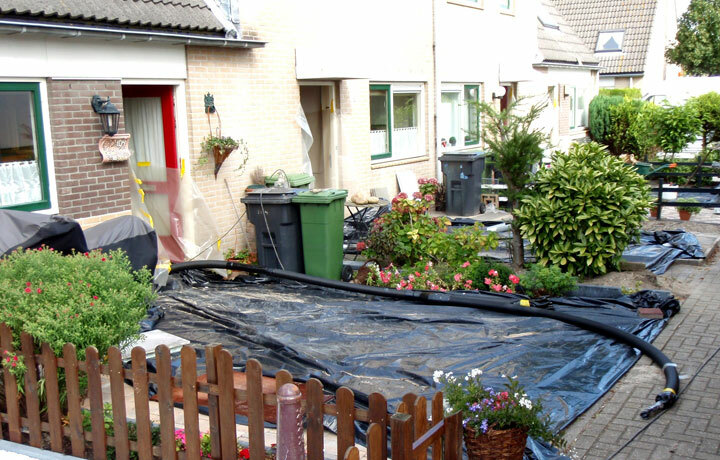 This proved an interesting solution for the complex conditions beneath the houses and for the Purmerend project overall. The installer, A.Hak Infranet, was prepared to adopt this new system for the implementation of the renovation project. Because of the cold Dutch climate, it was not possible to shut down the heating system from October to April for its renovation. The viable months were thus limited to just 5, from May until end of September. The plan was to renovate around 700 homes annually at a rate of 40 per week. 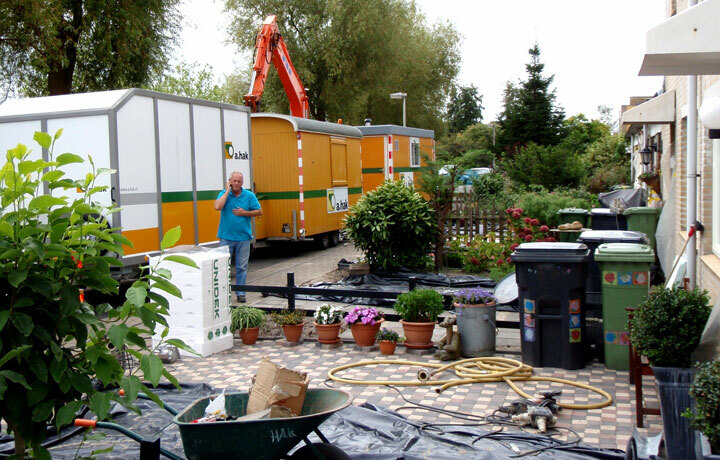 The largely prefabricated PB-1 piping system was put to great use by the installer, A.Hak Infranet. In a relatively short period, the installers reached peaks of 55 homes per week – showing that good planning in combination with largely prefabricated network sections delivered results. Schedules were kept tight, and deadlines were easily met. SVP used the renovation to completely redesign the network. An ideal outcome was made for each residential district to maximize returns. “We didn’t just look at the parts to be replaced, but used the opportunity to redesign the complete district heating network. Thermaflex PB-1 pipes have smaller diameters, but delivered much greater heat returns compared to our old steel system. In this way we were able to lower the nominal pressure by almost 1 bar. This meant less water was needed in the network resulting in very favourable energy savings. For our new innovative heating network, we came up with a suitable name: SlimNet” Martijn explained. The short production period in between May and September, in combination with renovating within the existing environment, posed some serious planning challenges. A section of approximately 40 houses would be simultaneously worked on. On the basis of the engineering design, Thermaflex was able to always produce the exact material volumes required, including the detailed engineering of the readily connected T-pieces. The materials were always delivered just in time and in conformity with the work schedules. All elements that were to be installed were readily provided with labels that corresponded to the design drawings. The fear of grumbling consumers did not finally materialize. Word went around rapidly that street renovations were finished quickly and, although the in-house construction works were thorough, the process wasn’t so intrusive. The residents reacted positively, also because their living comfort improved immediately after delivery. This way, support among the customers grew beyond expectations. This was a critical condition for the successful multi-year project. 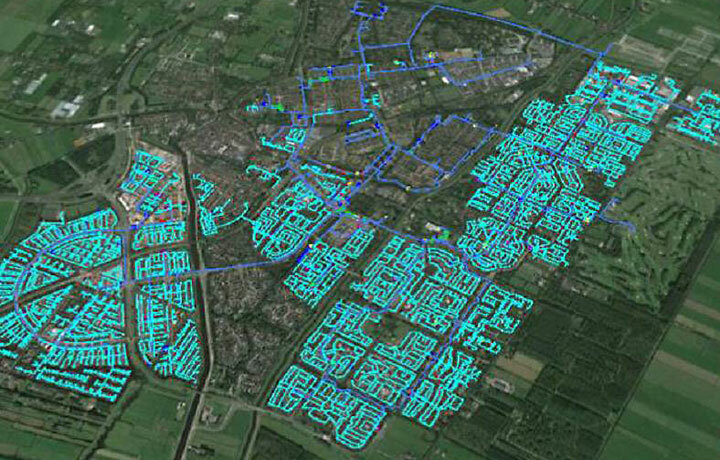 4,000 customers out of 25,000 in total have been connected to the new and improved PB-1 district heating network. The preparation of pre-fabrications went further. Thermaflex and installers have even demonstrated the connection of an entire street in just a single day. From digging the trench in the morning, to rolling out the prefabricated network and connecting the homes, to closing the trench by the end of the day, securing access for citizens again in the evening. With SlimNet, returns have risen steeply since 2010. Assessments carried out by SVP demonstrated tremendous improvements between 2008 and 2014. Heat losses were cut by almost 10% (from 427,155 GJ to 388.155 GJ). The water supply saw a spectacular reduction by 50% (from 32,683m3 to 16,840 m3) – a direct consequence of the decline in leakages. The amount of unplanned maintenance was also strongly cut by 84% (from 120 in 2008 to 19 in 2014), this of course excludes the renovation itself. The total performance results will in fact be much higher, as the renovation of the latest series of 700 homes last summer has not yet been taken into account. These results can be fully attributed to the implementation of SlimNet in the renovated sections of the heating network. Stadsverwarming Purmerend has been active since 1981 and supplies over 25,000 users of residential heating and hot water. 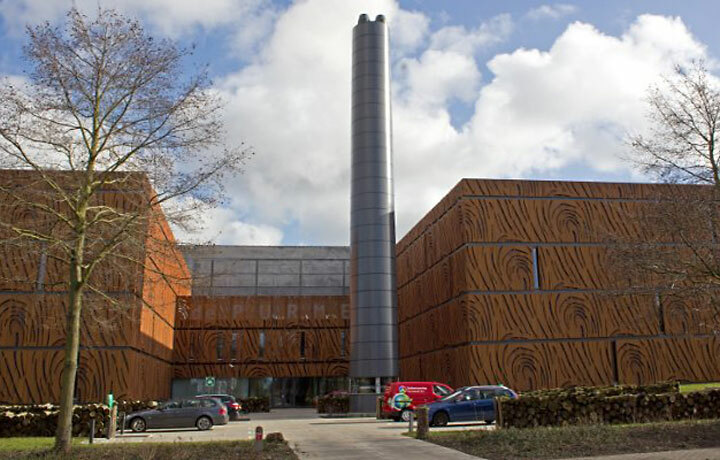 During the renovation period with SlimNet, SVP invested in a new woodchip-fed biomass plant based on timber extracted from the Dutch forests. The plant has a capacity of 44 MWth and ensures a clean and sustainable heat supply for the citizens of Purmerend. “The renovation of these 4.000 residences was a crucial initiative. We will also tackle the other residences over the next few years, but that runs along our regular maintenance scheme. This co-created solution in combination with the new working method result will be continued. SlimNet will remain in operation per our blueprint. The new biomass plant and the strongly increased returns have put SVP back on the map. From a problem child in district heating in the Netherlands, we are now regarded as an innovative trendsetter. We’ve become a model for the future” van Lier proudly revealed. Originally founded in the Netherlands, Thermaflex has been developing smart, and sustainable distribution solutions for heating, cooling and potable water since 1976. With its nature-inspired design for efficiency, durability and recyclability, Thermaflex strives to minimize the claim on resources for maximum benefit in respect to energy, economy, environment and quality of life.